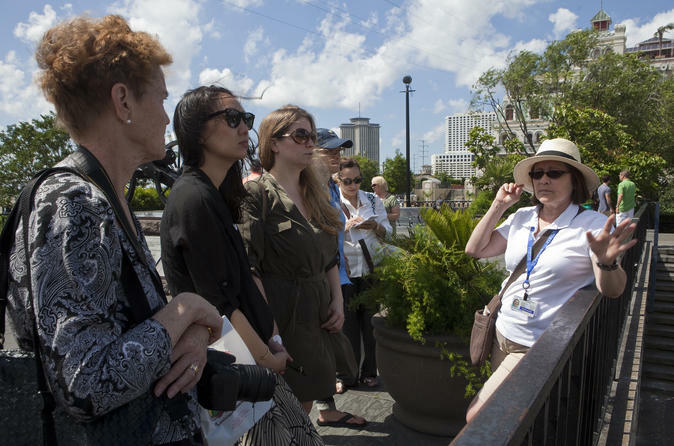 This French Quarter walking tour is conducted by city licensed guides and emphasize the history, architecture, and folklore of this fascinating city. Tour and store proceeds benefit Friends of the Cabildo, a non-profit volunteer group to provide support for the Louisiana State Museum. Purchasing a walking tour ticket also gets you admission to the 1850 House Museum, above the store, that shows what life was like in a typical Pontalba Apartment in the 1850s. Restroom is provided for walking tour guests as well.